YONKERS, N.Y., Dec. 7, 2012 /PRNewswire-USNewswire/ — Black Friday weekend and Cyber Monday may have seen record-high sales this year, but 36 percent of Americans who say they plan to give gifts have yet do any holiday shopping at all, according to the latest Consumer Reports Holiday Poll. Of those who have begun shopping, 42 percent are either three-quarters finished or finished completely (9 percent), while 58 percent said they were no more than halfway done. When asked where they’d done their holiday shopping this year more Americans said they had patronized mass merchandisers like Wal-Mart and Target (55 percent) than shopped online for gifts (39 percent). Thirty-two percent have shopped at department stores like Macy’s, Bullocks, Sears, and JCPenney, while 28 percent have shopped at retail chain stores like Toys “R” Us, Best Buy, or Gap. 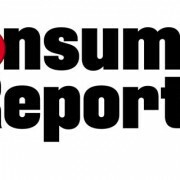 The Consumer Reports Holiday Poll also revealed that while more Americans have shopped for holiday gifts at mass merchandisers, bargains can be found online: 28 percent who have shopped at more than one type of retailer said they’re finding the best deals online, on par with the 26 percent who found their best deals at mass merchandisers. Only 14 percent of shoppers said department stores have the best deals. When it comes to deciding what gifts to give, 65 percent of Americans said they simply buy what the person they’re shopping for requested. Four-in-ten rely on advice from friends or family, while one in five get ideas from ads or commercials, and the same proportion consult customer or user reviews or ratings. Only 5 percent of holiday shoppers get their gift ideas from salespeople. Newspapers are a leading source of information on the best holiday shopping deals, used by 43 percent of Americans, the Consumer Reports Holiday Poll found. Promotional flyers or circulars (38 percent), TV or radio ads (36 percent), email promotions (29 percent), and deal or coupon websites, such as Groupon (15 percent), were other popular sources. Only 13 percent said they used or plan to use the social media channels Facebook, Pinterest, and Twitter for information on shopping deals this holiday season.